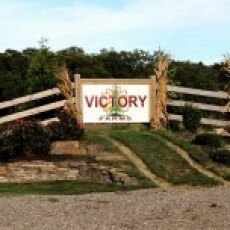 Victory Farms is a family owned & operated business that specializes in landscape design and is now inviting you to their farm to experience outdoor fun with hayrides, pumpkin picking and an exciting animal barn yard! Families and friends of all ages can enjoy a day on the farm during the Harvest Season. Come find the perfect pumpkin in our clean, green pumpkin patch, meet farm friends at the animal barnyard and enjoy a fun hayride with all our pumpkin people around the farm! Hay, pumpkins, gourds, squash, mums, corn stalks & produce available for purchase. Group Package includes hayride, animal barnyard, small pumpkin and reserved picnic table area. Groups (20 or more) must schedule 1 week prior to visit for group rate. Check out our special themed weekends on our website!